2010 Tonner The Soho Dress, No. T10BQOF02 fits 16 inch Tyler Wentworth and other Tonner fashion doll bodies of the same size and type. 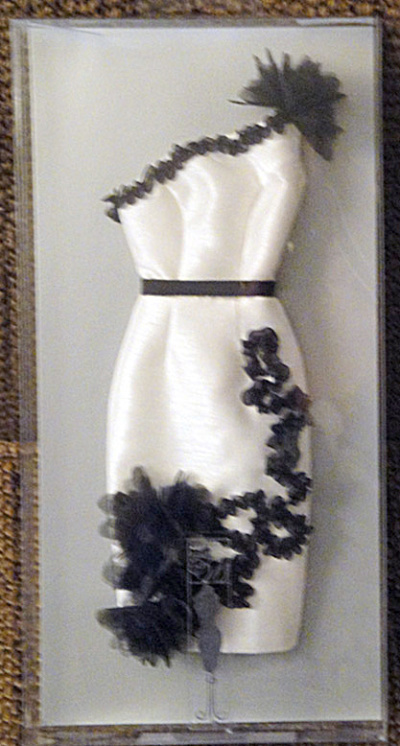 This separate doll boutique dress is an symmetrical white cocktail dress with swirls of black organza blossoms. The price is for the dress only and does not include the doll modeling it or the other accessories. Limited edition of 300. New, mint-in-the-box. Expand listing to view all 3 photographs.